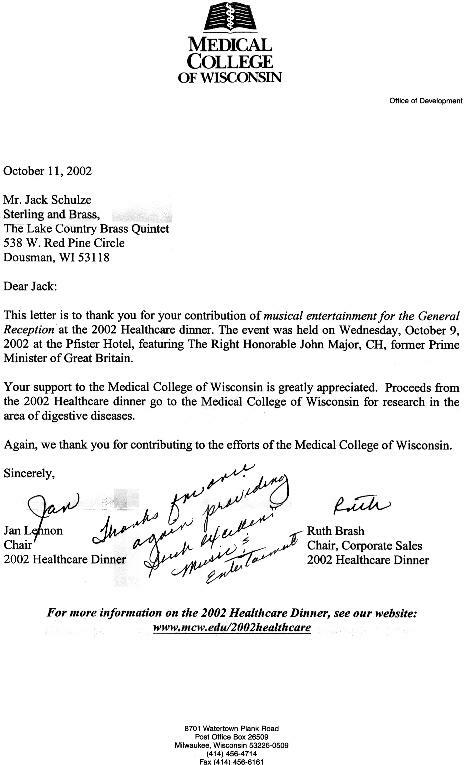 Thank you letter from Medical College of WI. 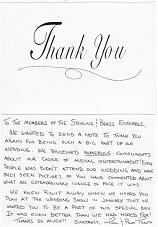 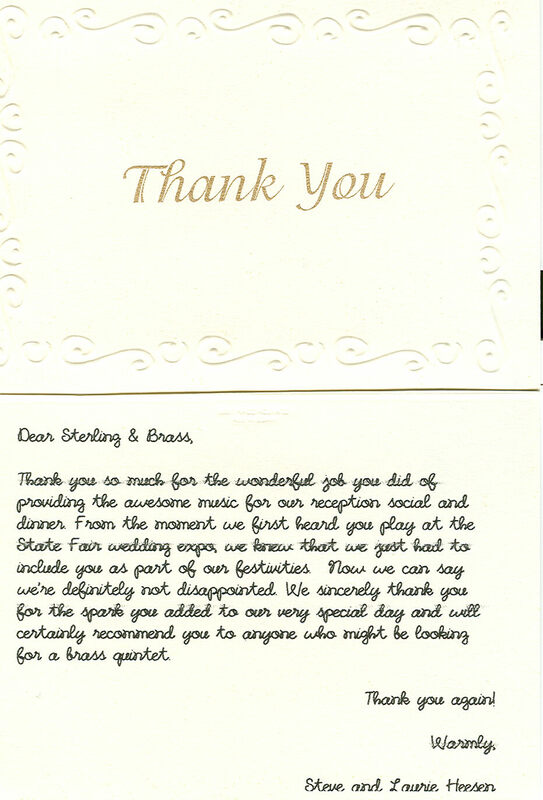 Send email to Info@SterlingAndBrass.com with questions or comments about this web site. 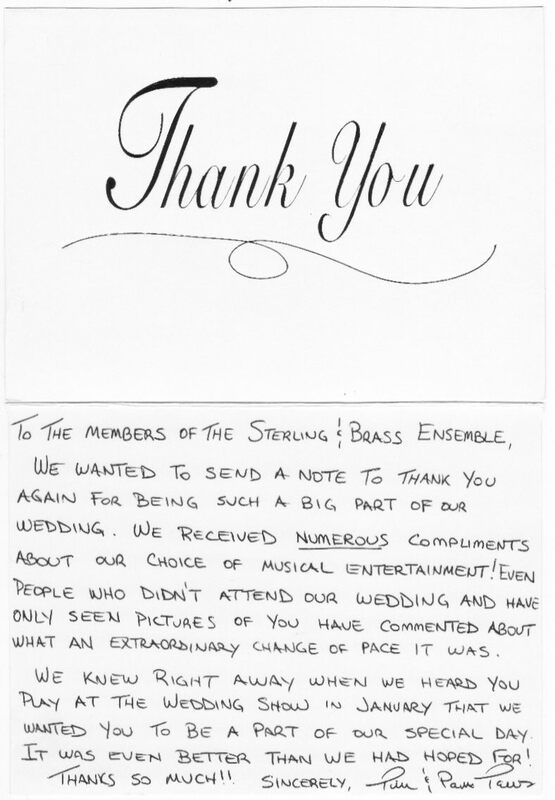 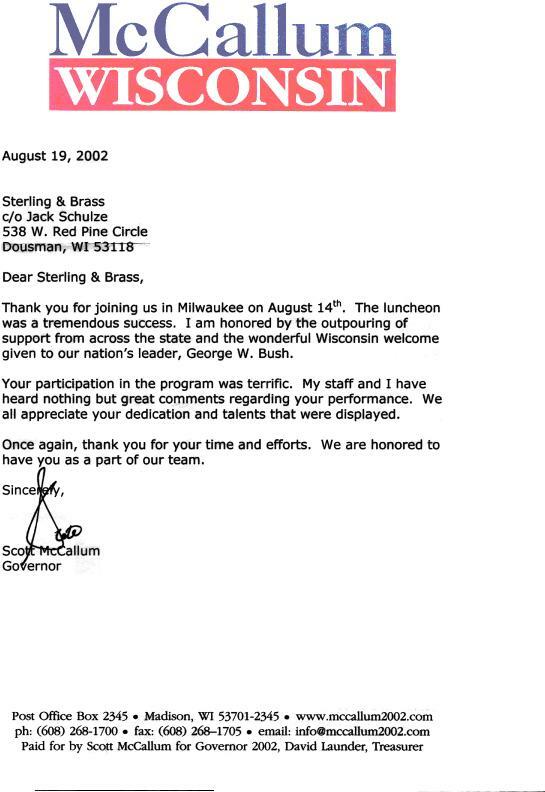 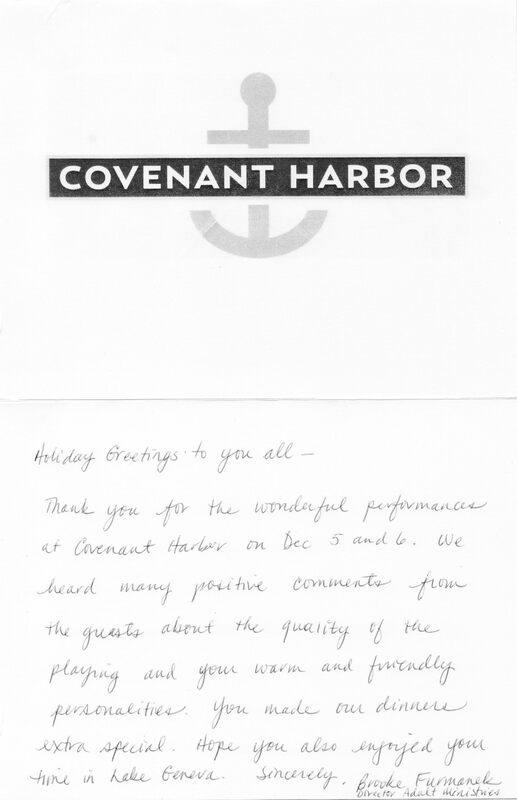 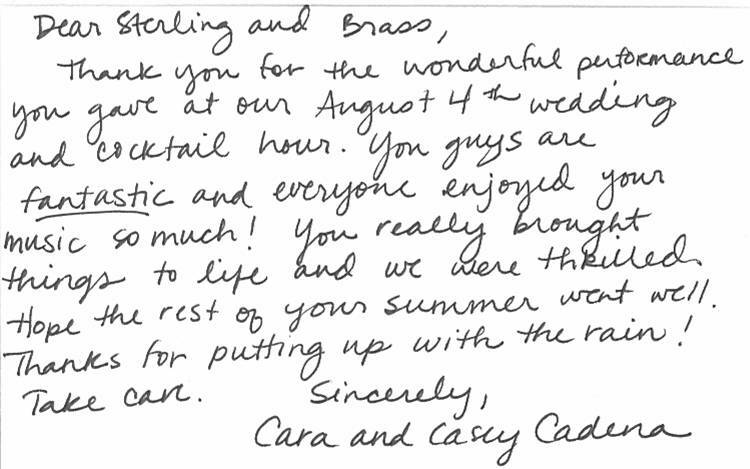 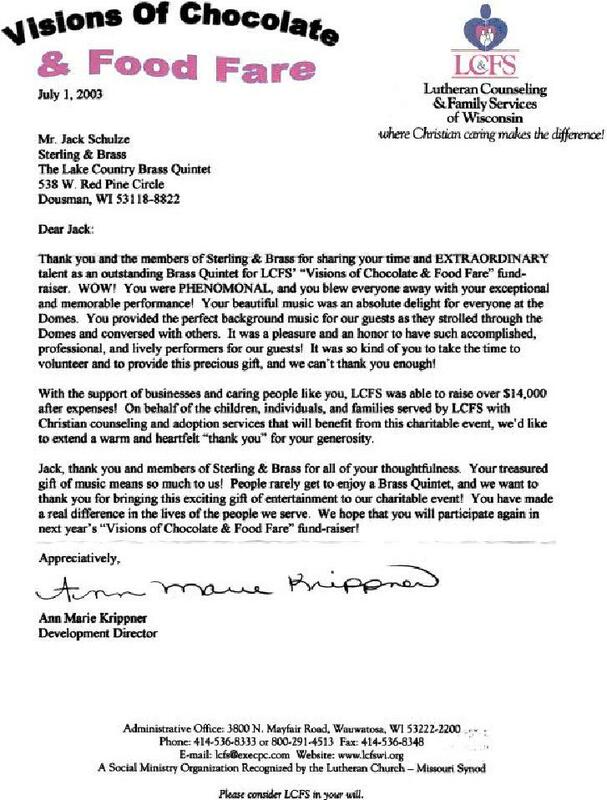 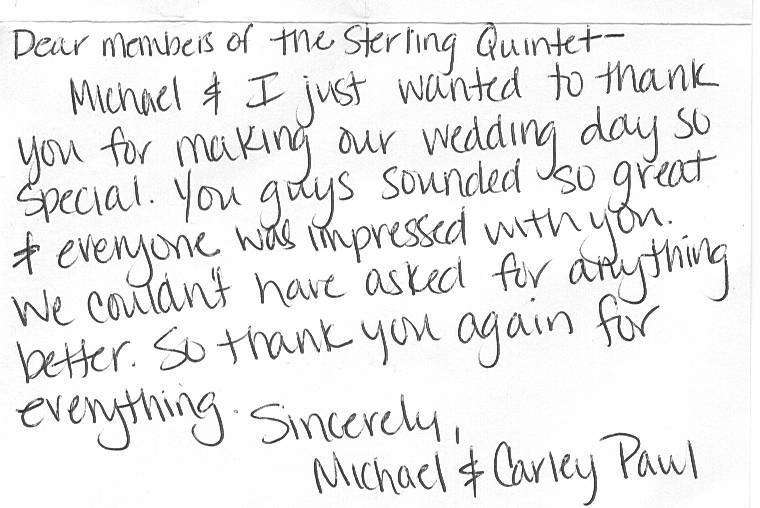 Copyright © 2003-2016 Sterling & Brass - The Lake Country Brass Quintet Hosted by: Throughput Consulting, Inc.